Samsung’s new Galaxy M lineup of budget phones has gone official in India today. As expected, the Korean giant has launched the Galaxy M10 and Galaxy M20 as the first devices in the series, and both feature Samsung’s Infinity-V display, which has a waterdrop notch. The M10 and M20 are also unique for having ultra-wide cameras on the back, similar to the Galaxy A7 (2018) and Galaxy A9 (2018). 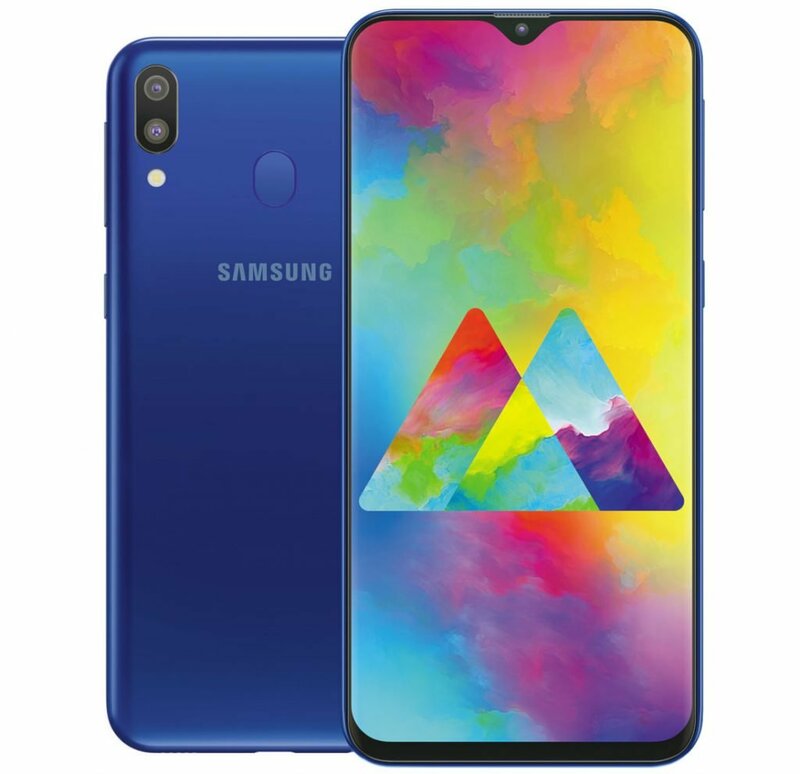 The Galaxy M10 and M20 come with 6.2-inch and 6.3-inch LCD displays of HD+ (720×1520 pixels) and Full HD+ (1080×2340 pixels) resolution respectively and a 19.5:9 aspect ratio. Both phones get a 5-megapixel ultra-wide sensor as part of the dual rear camera setup and a 13-megapixel primary camera. The notch on those displays holds an 8MP selfie camera on the M20 and a 5MP camera on the M10. The Galaxy M20 also boasts a 5,000 mAh battery, the biggest yet on a budget Galaxy phone and only the second time Samsung has used such a high-capacity battery on any Android phone. It also has fast charging support and a USB Type-C port, also features never before seen on a budget Galaxy. The Galaxy M10 gets a 3,400 mAh battery, which might seem small but should offer long battery life thanks to the power efficiency-focused Exynos 7870 chipset that powers the phone. Under the Galaxy M20 there’s the new Exynos 7904 chip that Samsung says has been made specially for the Indian market. It’s basically an Exynos 7885 with lower operating speed for its two Cortex-A73 performance cores (1.8GHz). The six power-efficient Cortex-A53 cores are clocked at 1.6GHz, and there’s a Mali-G71 GPU accompanying the chipset. RAM options include 3GB and 4GB for the M20 along with 32GB or 64GB of storage. The M10 will be sold in 2GB+16GB and 3GB+32GB configurations. The Galaxy M10 and Galaxy M20 are outdated on the software front, as both run Android 8.1 Oreo with Samsung Experience 9.5 and not Android Pie. Samsung India says it has stripped the software of some of the features that millennials – the demographic the company is focusing on with the M series – don’t use, such as Bixby Home, so that the phones run faster and smoother. Android Pie will come later this year. The Galaxy M10 and Galaxy M20 will be sold only through Amazon and Samsung’s online store, and that has allowed the company to price both phones amazingly well. The Galaxy M10 is priced at ₹7,990 ($112) and ₹8,990 ($126) for the 2GB+16GB and 3GB+32GB models, while the Galaxy M20 starts at ₹10,990 ($155) for the 3GB+32GB variant and goes up to ₹12,990 ($183) for the 4GB+64GB model. The two phones will be sold in Ocean Blue and Charcoal Black colors. You was on the launch event? preferrable design compared to s10!